Panasonic has announced pricing for its two newest Micro Four Thirds cameras, the Lumix G2 and Lumix G10. Both cameras will come equipped with the LUMIX G VARIO 14-42mm/F3.5-5.6 ASPH/MEGA O.I.S. lens. The Lumix G2 will retail for $799.95. Check availability on B&H Photo and Amazon. The Lumix G10 will retail for $599.95. Check availability on B&H Photo and Amazon. 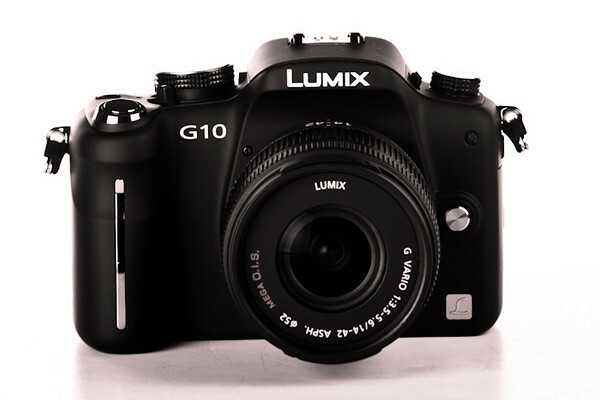 The Panasonic Lumix G10 is a 12.1MP Micro Four Thirds camera that follows the previous generation G1, GH1 and GF1 cameras. In addition to still images, the G10 captures 720p HD video at 30 fps in Motion JPEG format. The G10 is paired with a 14-42mm image stabilized kit lens and, of course, is compatible with all previously introduced Micro Four Thirds Lumix G lenses from Panasonic. The G10 features a 3-inch, 460k dot resolution LCD and an electronic viewfinder, both of which offer approximately 100% frame coverage. Additionally, the G10 includes a built-in pop-up flash and a hot shoe for external flashes.